Sydney - Japan's Sunwolves will be axed from Super Rugby from 2021, the governing body said on Friday, ditching Asia's first team in the competition just six months before Japan hosts the World Cup. SANZAAR (South Africa, New Zealand, Australia and Argentina Rugby) said it wasn't prepared to bankroll the perennial wooden-spooners after Japan's rugby board withdrew financial support. The globe-trotting competition will return to 14 teams and its previous round-robin format from 2021, scrapping the unpopular and convoluted conference system. 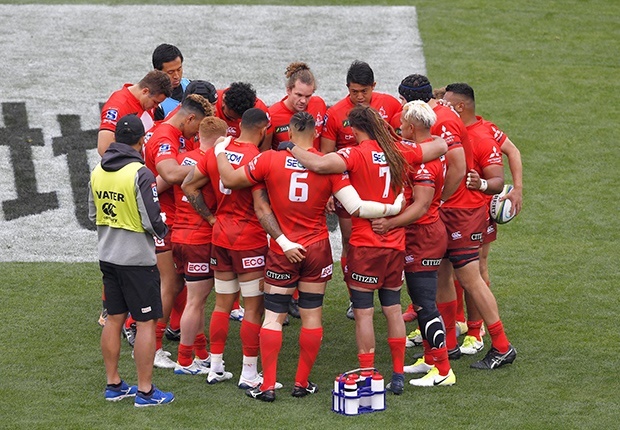 SANZAAR CEO Andy Marinos said the Sunwolves decision was "not taken lightly", and held open the possibility of a Super Rugby Asia-Pacific competition also involving Pacific nations, the Americas and Hong Kong. Reports say much of the opposition to Asia's first Super Rugby team came from South Africa, whose teams were opposed to travelling to Tokyo and Singapore for the Sunwolves' home games. The Tokyo-based Sunwolves were introduced with great fanfare along with Argentina's Jaguares in 2016 as Super Rugby, seeking new markets, expanded to 18 teams. Both teams survived a cull when the tournament shrank back to 15 sides in 2018, after the sprawling, globe-crossing new format proved unwieldy for teams and fans. Now in their fourth season, they won away for the first time earlier this month, beating the Chiefs 30-15 - only their seventh win in 51 games. The Sunwolves have also faced criticism about the number of non-Japanese in their team, raising questions over their core mission of developing home-grown players.